eWareness’ President has again been selected as a judge for the WebAwards competition. This years marks the 21st year of the WebAwards and the 16th year our President has been on the panel of judges. eWareness’ President has again been selected as a judge for the WebAwards competition. This years marks the 20th year of the WebAwards and the 16th year our President has been on the panel of judges. 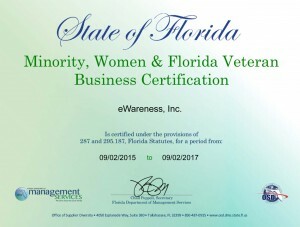 State certification is Florida’s premier stamp of approval for minority, women, and veteran business enterprises. It is widely accepted across the State of Florida in the private sector as well as cities, counties, school districts, hospitals, and other governmental entities. eWareness is also a certified Service Disabled Veteran Owned Business (SDVOSB) by the Center for Veterans Enterprise (CVE). Space Coast Kibble Kitchen (SCKK) is a 501C3 Nonprofit Pet Food Bank. 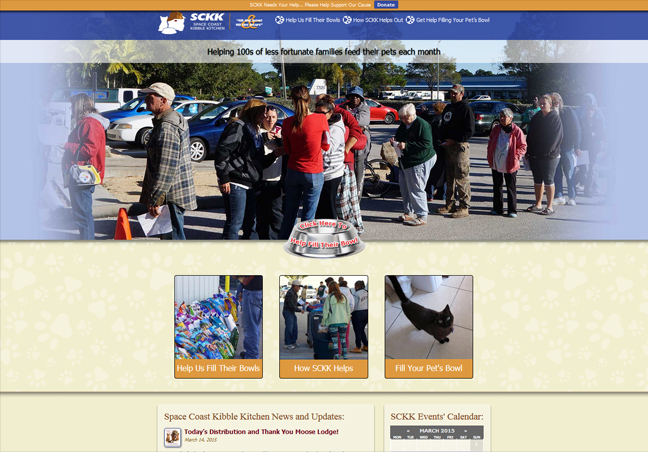 SCKK provides much needed pet food to less fortunate families on Central Florida’s Space Coast. Members of eWareness’ staff not only volunteer with SCKK, eWareness was also instrumental in putting together a new website with integrated functionality such as an easy to edit and share events calendar; integrated donation system, a news and blogging section and much more. Everything was done with the common goal of raising regional awareness about Space Coast Kibble Kitchen in order to get additional media exposure, find sponsor, donors and volunteer and more importantly, reach out to those in the community who are desperately in need of SCKK’s helping hand. Space Coast Kibble Kitchen’s motto is: “Fill The Bowl and Fill The Heart!” And by helping “Fill The Bowl” SCKK also helps keep our local animal shelters from being filled… click here to view Space Coast Kibble Kitchen’s website. eWareness is happy to announce we have been awarded a federal government contract to provide creative design services to the Veterans Emergency Management Evaluation Center (VEMEC) based in Southern California. 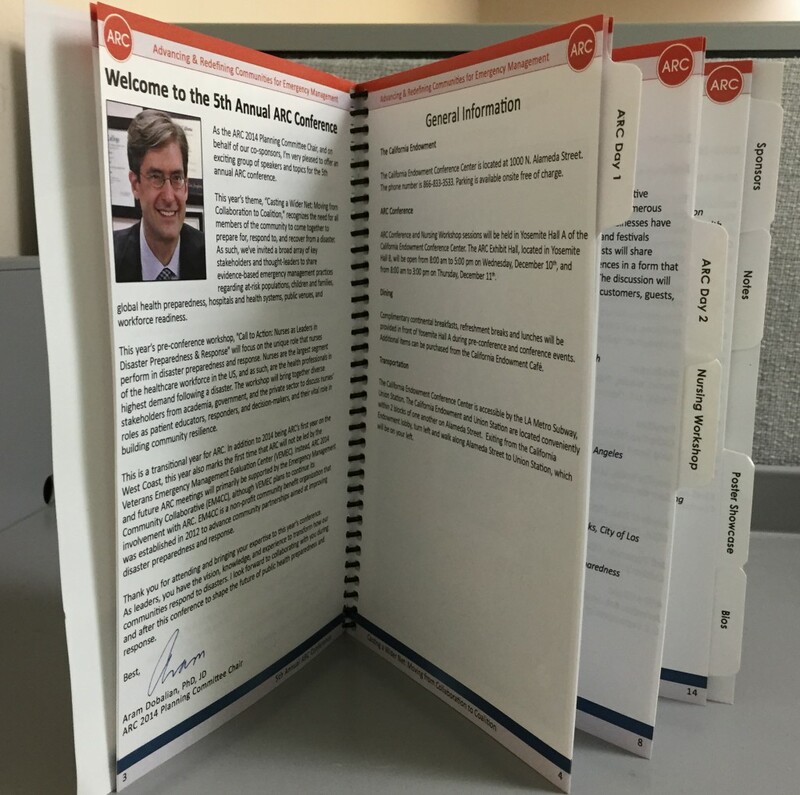 eWareness will be working with VEMEC to provide various design requirements including trade show booklets, signage, datasheets, workbooks, direct mail pieces, flyers and more. Melbourne, Florida, December 1, 2014 – eWareness, Publisher of the Veteran Owned Business Project, has been named a Top 100 Champion in the 2014 Small Business Influencer Awards. “Influencers are those who play crucial roles in the small business ecosystem, but who often are in the background. The Top 100 Champions have distinguished themselves in some way. We’re delighted to see the wide range of Champions and Honorable Mentions this year – including journalists who’ve spent decades covering small business issues, corporate leaders whose names may not be widely recognized but who impact small businesses by influencing the offerings within their companies, vendors large and small that support small businesses, analysts who aid our understanding of this market, and entrepreneurs who have a strong voice among their small business peers,“ said Anita Campbell, CEO of Small Business Trends and one of the co-founders of the Awards. The Small Business Influencer Awards, now in their fourth year, enable the small business community to nominate and show their support for those that influence and support them. The Awards have an open nomination period, followed by community voting, and then a judging period by a group of industry-knowledgeable judges. The Small Business Influencer Awards initiative is produced by Small Business Trends, an award-winning online publication, serving over 6,000,000 small business owners, stakeholders and entrepreneurs annually, and SmallBizTechnology.com, a media company that produces online content and live events educating small and mid-sized companies on how to strategically use technology as a tool to grow their businesses. The Awards can be found on the Web at SMBInfluencers.com. Launched on Veterans Day 2008, the Veteran Owned Business Project has grown to a network of nearly 300,000 supporters and over 20,000 businesses all proudly owned by veterans, active duty military, reservists and service disabled veterans (DVBE/SDVOSB) of the United States Army, Air Force, Marines, Navy, Coast Guard and National Guard. There is absolutely no cost to use Veteran Owned Business and there is no cost to become a member and get your business’ profile. For more information, visit VeteranOwnedBusiness.com, Twitter.com/VeteranOwned or Facebook.com/VeteranOwnedBusiness. Please address all media inquiries to Veteran Owned Business Project’s publishing company, eWareness (http://www.ewareness.com). eWareness’ President, Brian K. St.Ours, has once again been selected to judge the 2014 MobileWebAward Competition. Mr. St.Ours has been a longtime Judge for the WebAwards, Internet Advertising Competition and MobileWebAwards and continues to represent Central Florida’s Space Coast as a Judge for these distinguished, industry accolade programs. eWareness’ President, Brian K. St.Ours, has once again been selected to judge the WebAwards competition. Mr. St.Ours has been a longtime judge for the WebAwards and continues to represent Central Florida’s Space Coast as a judge for this distinguished, industry accolade program. 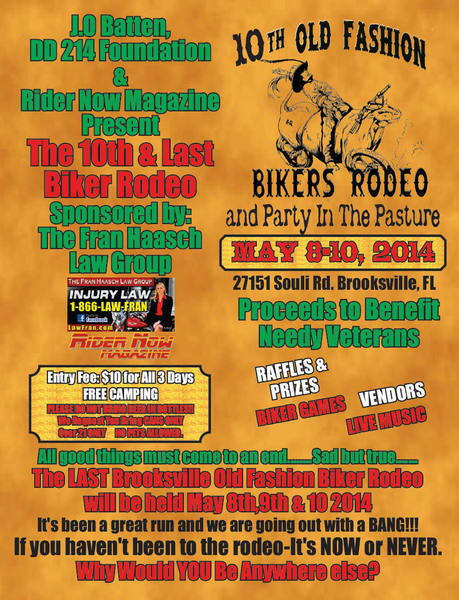 eWareness and the Veteran Owned Business Project will be exhibiting May 8th, 9th and 10th at the Brooksville Biker Rodeo (“Party in the Pasture”). All proceeds from this coming weekend’s Old Fashion Bike Rodeo event will benefit United States military veterans through the DD214 Foundation. 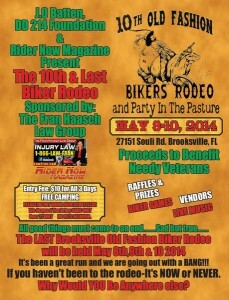 Click image to view flyer for the Brooksville Biker Rodeo (“Party in the Pasture”). The DD 214 Foundation is a 501-c3 Not for Profit organization. The organization is an all biker volunteer group that focus on helping our nation’s needy veterans and military families. The foundation distributes monies directly through Marine Corps League 708 in Brooksville Florida. The Money is presented to Needy Vets regardless of Branch of Service. To date the DD214 Foundation has collected and distributed $116,000.00 in aid to those who proudly served, and where wounded in the line of duty protecting our freedom. We are proud to once again promote and attend this great event that supports those who’ve proudly served our great nation! 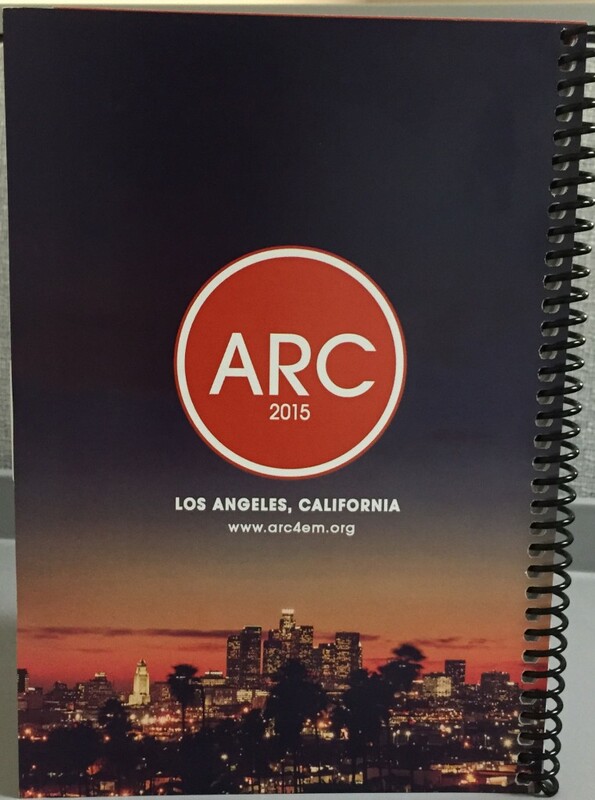 If you plan on being there, please swing by our exhibit space and say “hello”. eWareness’ President recently referenced in a Florida Today print and online article discussing President Obama’s Jobs Plan involving tax incentives for businesses that hire veterans and disabled veterans. (Melbourne, Florida) eWareness’ President, Brian K. St.Ours, a Space Coast resident and long-time judge for the WebAwards Competition and the Internet Advertising Competition, will join other industry experts from around the globe to help judge the Web Marketing Association’s newest award program specifically for mobile marketing, mobile website design and mobile applications. Brian K. St.Ours is the president of eWareness, a Central Florida-based web marketing communications and technology firm incorporated in 2002. St.Ours is also the founder of Veteran Owned Business, an online portal that helps thousands of veteran owned and service disabled veteran owned business members from around the United States reach out to fellow veterans as well as purchasers, partners and organizations. The MobileWebAwards Competition (m.WebAwards) are produced by the Web Marketing Association to honor excellence in mobile Websites and apps, recognize the individuals and organizations responsible, and showcase the best in award winning mobile development. MobileWebAwards Competition judges are experienced professionals with an in-depth understanding of the current state-of-the-art in mobile web development, design and marketing and the objectivity to score entries according to a predefined set of criteria. Judging will be based on the following criteria: creativity, impact, design, content, interactivity, ease of use and use of medium. The Web Marketing Association is working to create a high standard of excellence for Web site development and marketing on the Internet. Staffed by volunteers, it is made up of Internet marketing, advertising, PR and design professionals who share an interest in improving the quality of Website development and marketing on the Internet. Since 1997, the goal of the Web Marketing Association, sponsor of the WebAwards and IAC Awards, is to provide a forum to recognize the people and organizations responsible for developing some of the most effective Web sites and advertising on the Internet today. 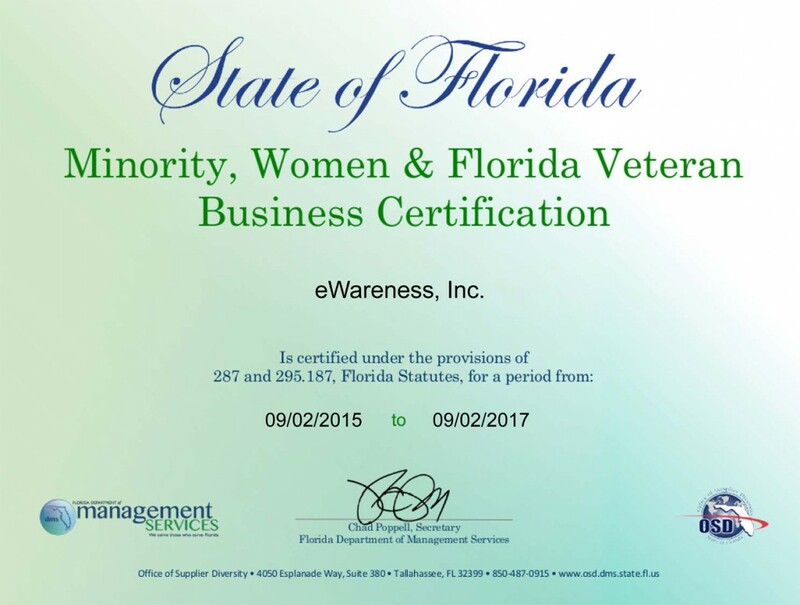 eWareness is a veteran owned, web marketing communications and technology agency headquartered on Central Florida’s Space Coast. 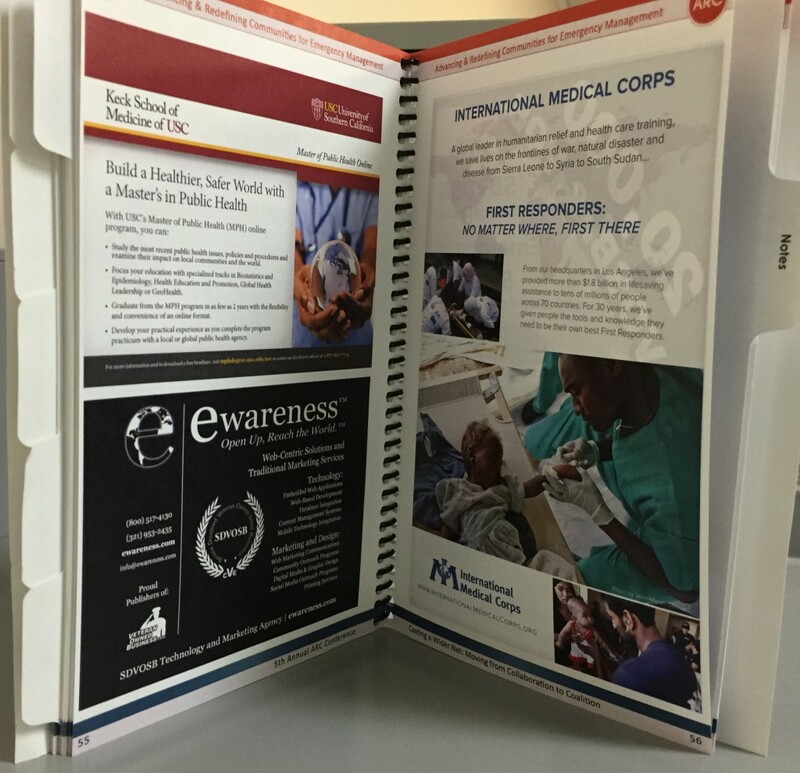 By effectively combining the highest elements of marketing, technology and design, eWareness has been helping businesses and government agencies better meet the growing global demand for online services since incorporating in 2002. eWareness is also the proud publisher of the Veteran Owned Business project. More information about eWareness can be found by visiting http://www.eWarenessinc.com. We are happy to say that 2012 marks our 10th Anniversary. More importantly, with the addition of several new employees and numerous new projects, eWareness is proud to announce that we’ve moved our headquarters to bigger (much) office space downtown Melbourne (Florida). More information will be coming including information about our ribbon cutting ceremony, details about our newest staff members and much more! 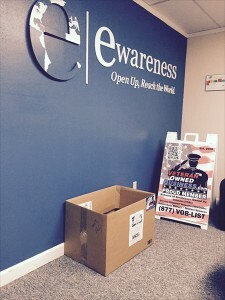 eWareness Is A Proud Veteran Owned Business! 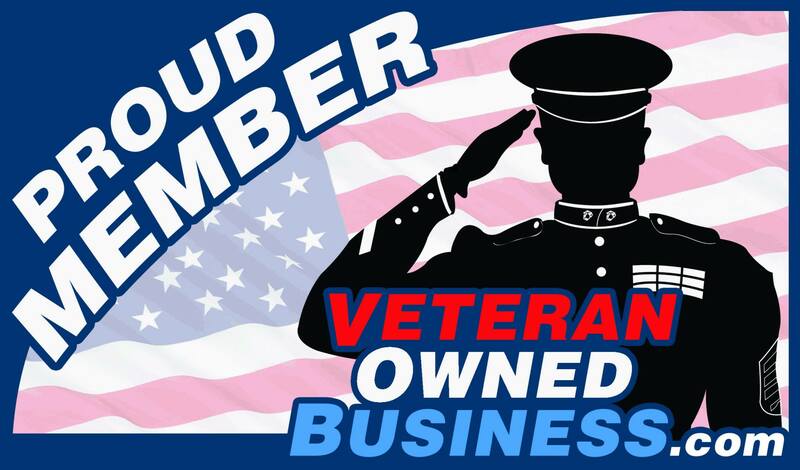 We are proud members of the Veteran Owned Business Project! As a veteran owned business, eWareness is extremely proud to say a special “thank you” to all our veterans and active duty military. We are also proud to have helped Veteran Owned Business inexpensively bring in millions of site visitors and 10’s of millions of page views (primarily through social and viral marketing)! 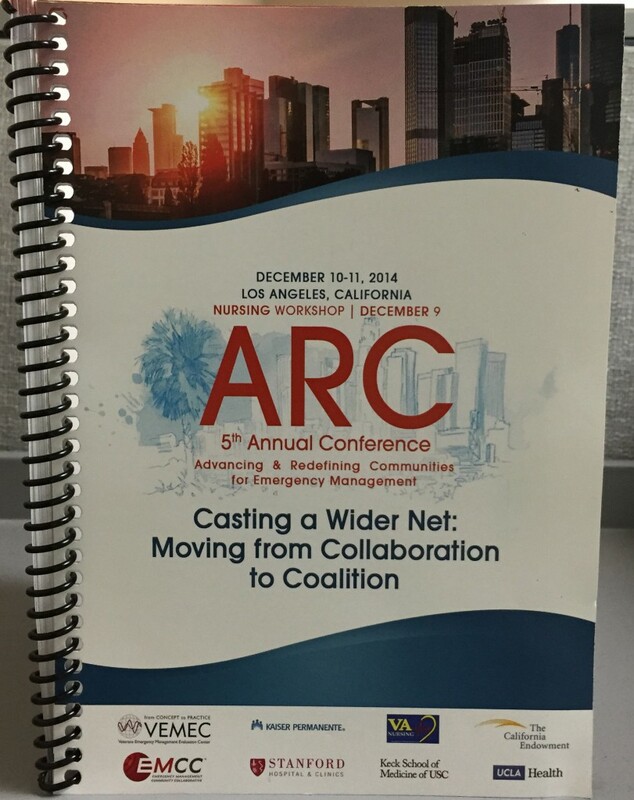 Contact us to find out how we can do the same for your business or organization. eWareness’ President recently returned from a trip to DC where he–along with other delegates from Florida–met with senior staff members for Senator Marco Rubio and Senator Bill Nelson to discuss issues related to Internet access for America’s small businesses. 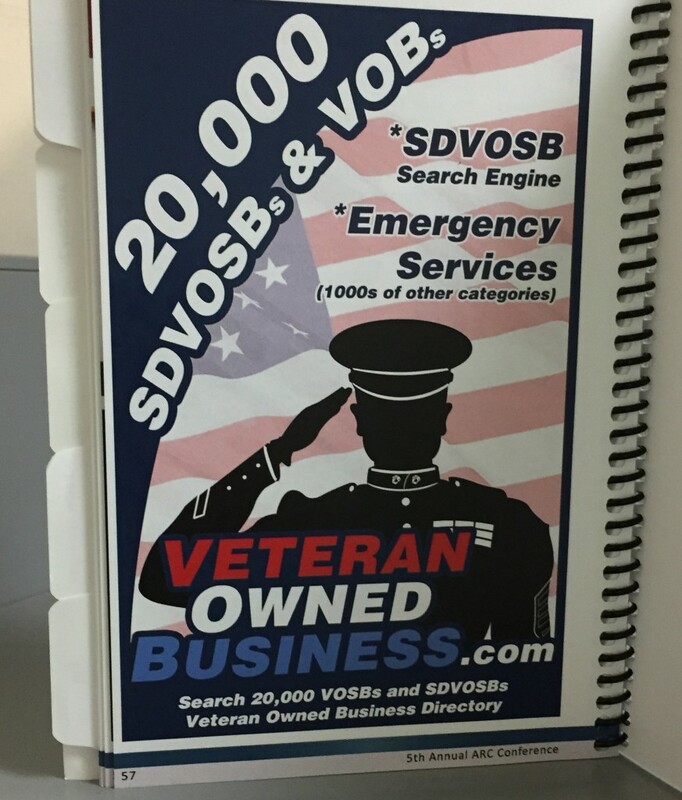 New Directory of Veteran Owned and Service Disabled Veteran Owned Businesses Reaches 1,000 Business Listing Milestone in Just under 100 Days of Going Live. March 10, 2009–Veterans who own and operate businesses have found a new, comprehensive directory to help promote their products and/or services to millions of fellow veterans, government agencies, corporate purchasing departments, contractors and consumers who wish to proudly support veterans by choosing to review their products and/or services for possible purchase. Veteran Owned Business Directory was released online into Beta on Veteran’s Day 2008 (November 11, 2008). In just under 100 days since being released online, this directory of veteran owned and service disabled veteran owned businesses has surpassed the 1,000 business listing mark. Listings in the Veteran Owned Business Directory is free. 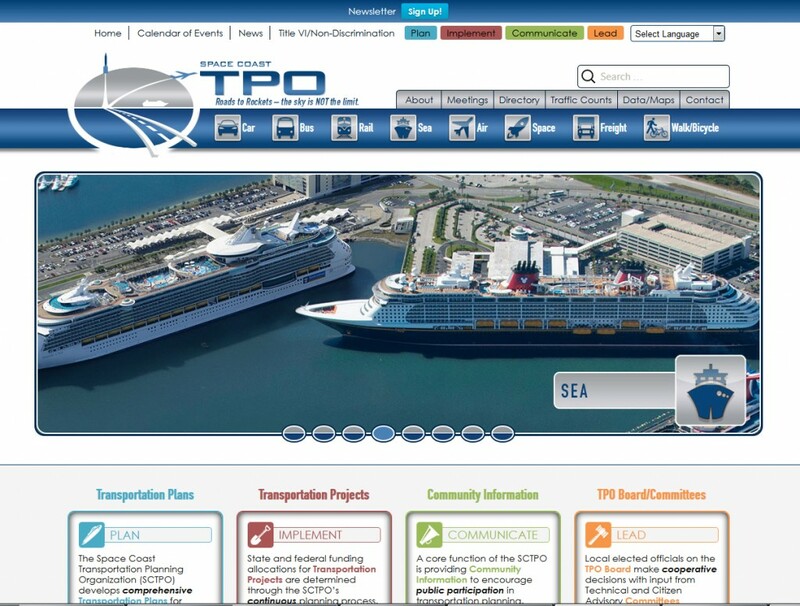 Each company gets a very detailed company profile which includes contact information, directions with a detailed mapping system, a product/service description, link to the company’s website (if one exists) and several other details. Traffic for VeteranOwnedBusiness.com has grown just as rapidly as sign ups. In January, just a few weeks after going live, VeteranOwnedBusiness.com was receiving thousands of weekly visitors and ended the month with over 100,000 page views. “We anticipate traffic to significantly increase as we work to hit our next milestone of 2,500 business listings. We will be implementing a very aggressive marketing campaign over the next few months to ensure we reach as many veterans, active duty military, reservists and service disabled veterans who own businesses as possible,” added St.Ours. About the Veteran Owned Business Project: VeteranOwnedBusiness.com is a comprehensive directory of businesses owned by United States military veterans, active duty military, reservists and service disabled veterans of the United States Army, Air Force, Marines, Navy, Coast Guard and National Guard. VeteranOwnedBusiness.com itself is owned and operated by veterans. More information about VeteranOwnedBusiness.com can be found by visiting http://www.VeteranOwnedBusiness.com. eWareness’ Veteran Owned Business Project referenced in Military Edge Magazine’s August 2011 article, “Off-Duty Entrepreneurs” regarding United States military veterans who plan on starting a business. eWareness’ President was once again referenced in Florida Today. On January 2, 2011 Florida Today ran an article where several of Brevard County’s business leaders gave ideas (a wish list if you will) for Florida’s incoming Governor, Rick Scott. Mr. St.Ours suggested creating additional programs that would help stimulate job creation for Florida’s veterans (known to have an unemployment rate nearly double the national average). Mr. St.Ours is heavily involved with helping our nation’s veterans including helping cut down on the high unemployment rate amongst our country’s military veterans! We congratulate our client Mary Bolin on her successful re-election as Brevard County Commissioner – District 4.
eWareness and eWareness’ President were recently referenced in Florida Today’s The Web @ 20 article. This very detailed article talks about how the web has impacted Brevard County and Brevard County businesses over the past two decades. eWareness’ President, Brian K. St.Ours, has been selected as a judge for the 2010 WebAwards competition. Mr. St.Ours has been a longtime judge for the WebAwards. 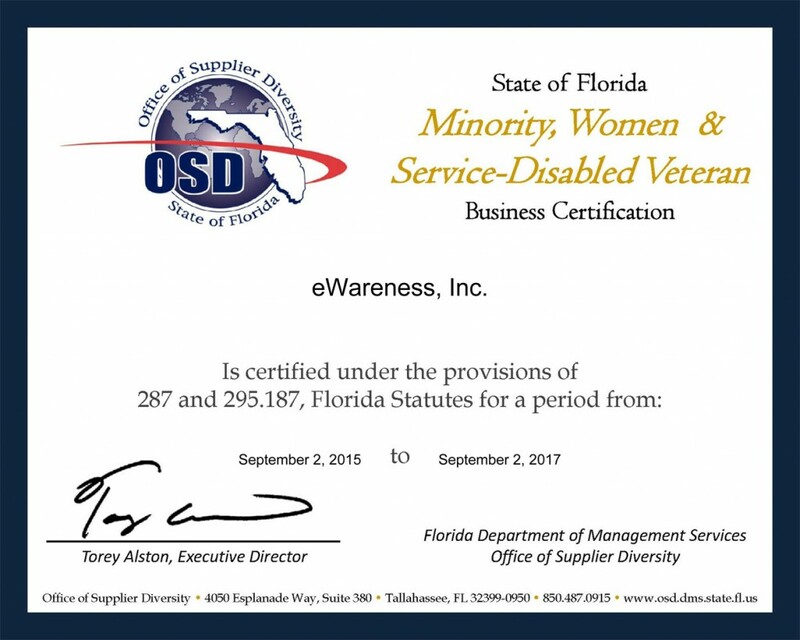 eWareness, Inc., a veteran owned web marketing communications and web design company, is proud to announce that the U.S. Department of Veterans Affairs’ Center for Veterans Enterprise (CVE) has verified Melbourne Florida’s eWareness as a certified Service Disabled Veteran Owned Small Business (SDVOSB). 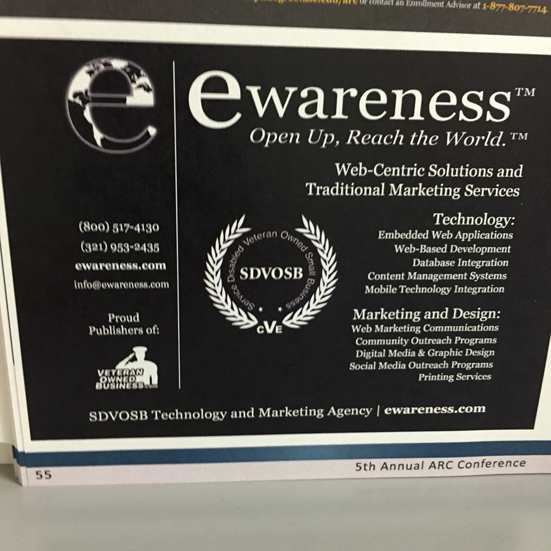 eWareness was recently listed on Website Magazine’s list of Top 50 SEO Firms and Resources. 9/25/2008 – The Web Marketing Association is pleased to announce that Brian K. St.Ours of Melbourne Florida’s eWareness has been selected as a judge for the 2008 annual international WebAwards competition for Web site development.